Researchers are reporting significant progress on efforts to build a large, long-distance unmanned vessel to extend the Navy's eyes and ears. The Defense Advanced Research Projects Agency (DARPA) began work in the project in 2010. 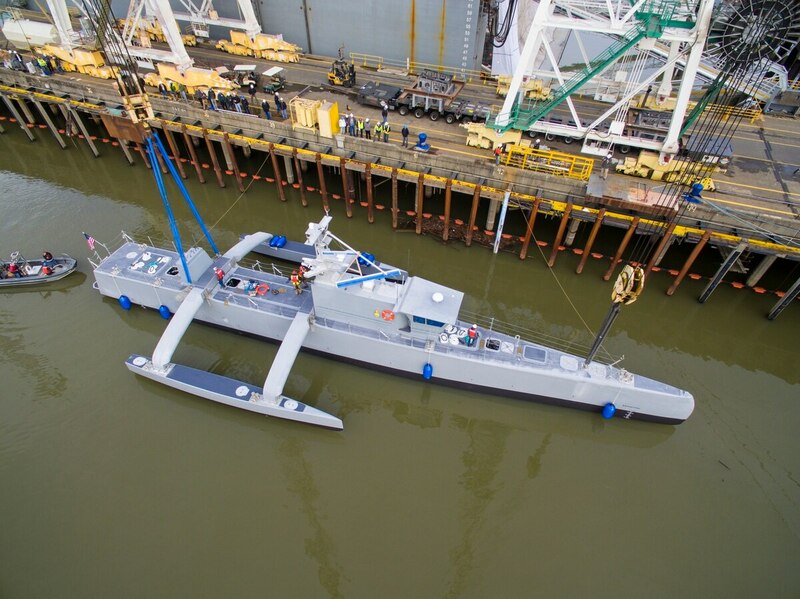 It has spent $100 million on R&D for the Anti-Submarine Warfare (ASW) Continuous Trail Unmanned Vessel (ACTUV) and another $23 million to have Leidos build the prototype presently being tested out of San Diego. On the heels of recent successful demonstrations, the coming year could prove pivotal to the program. "We have a bunch of testing coming up, including a lot of at-sea testing of the collision avoidance systems. That will start in January and run through most of 2017," said Scott Littlefield, DARPA program manager in the tactical technology office. While the Navy has an inventory of unmanned vessels, most are small — no more than 40 feet long and 10 tons, Littlefield said. Because they are launched and recovered off warships, these assets typically can operate only over limited distances and for short durations. The prototype ACTUV vessel, christened Sea Hunter in April 2016, is 132 feet long, weighs 135 tons fully fueled with 14,000 gallons of gas, and has a range of 10,000 nautical miles. "You could go from San Diego to Guam and back to Pearl Harbor on a tank of gas," Littlefield said. Initially conceived of as a submarine tracker, the ACTUV mission set evolved as planners came to realize that with its size and range, the vessel could potentially serve as a platform for a variety of sensors. "Because it is big and it has a lot of payload capacity, and because it also has a lot of range and endurance, it can potentially carry out a range of different missions," Littlefield said. The sensor load will likely include multiple cameras for detecting other vessels in the optical and infrared spectra, along with radar and other situational-awareness sensors. In one recent demonstration, DARPA showed that ACTUV could perform an even more elaborate intelligence function when paired with other technologies presently under development. In September researchers used ACTUV to hoist a Towed Airborne Lift of Naval Systems (TALONS) prototype. TALONS is designed to be towed behind boats or ships. 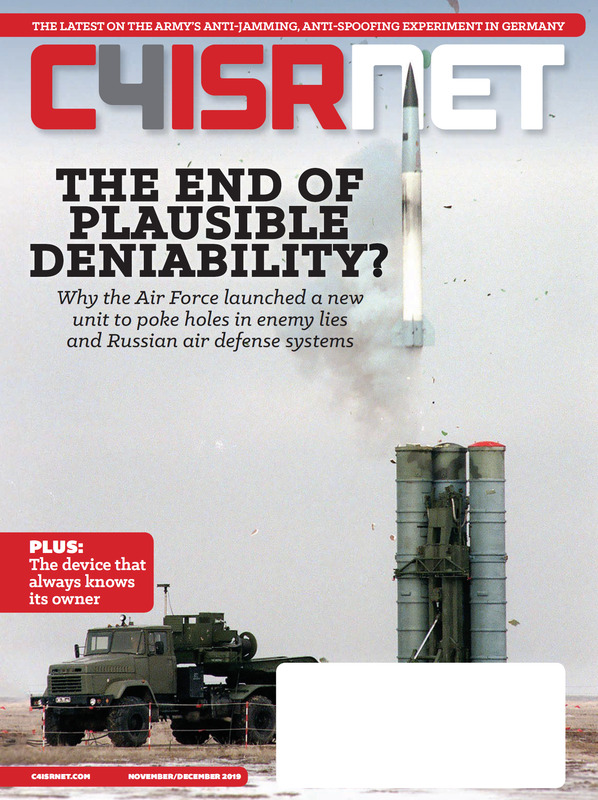 It can support ISR and communications payloads weighing up to 150 pounds, lofting them between 500 and 1,500 feet in the air, far higher than current ships’ masts. This could significantly extend the intelligence capacity, and enhance communications at sea. "You may have some mixture of manned and unmanned vessels operating in a group, but they are relatively far apart. If you want high-bandwidth communications between those ships, then getting something up at 1,500 feet will get those communications over the horizon and create a direct link between those ships," Littlefield said. ACTUV operates without an operator in the immediate vicinity: It has a destination, but there’s no one controlling it minute by minute with a joystick. As a result, planner say that much of their effort has gone toward ensuring the vessel can safely steer its own course in open waters. "A major part of the effort has been in the development the algorithms and the software to allow it to avoid collisions with other ships and to obey the rules of the road at sea," Littlefield said. The ship needs to be smart enough to make course adjustments on the fly. When it encounters another craft, "it will continuously calculate the predicted closest point of approach of that other vessel over time," he said. "If it doesn’t see the expected behavior in the other vessel, eventually it is execute its own maneuver to avoid a collision." Looking ahead, DARPA is considering possible payloads for future long-range missions. "There are a lot of ideas about sensors and communications systems that could go on there, and we need to figure out what is the right payload for different operational uses," Littlefield said. "It’s one thing to develop the platform, to come up with the technology, but it’s something else to think about how you are actually going to use it."